Home-grown herbs and spices can add wonderful fresh and aromatic flavours to all of your favourite culinary dishes, and they're good for you too. The quality of home-grown herbs and spices are far superior to their dried and packaged counterparts, which have often lost most of their flavour by the time you get around to using them. Herbs and spices are not only easy to grow at home, many types are also perennials meaning that they only have to be planted once and you can continue to harvest from them for many years. The full range of open-pollinated and heirloom herb and spice seeds currently available from Succeed Heirlooms is listed below. Angelica is a biennial herb with sweetly scented, edible stalks and leaves. 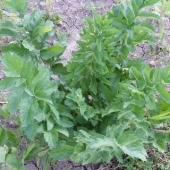 Grows like celery but much larger, up to 2 metres tall. Seeds need to be cold stratified prior to sowing. 6-12 months to harvest. 30 seeds per packet. 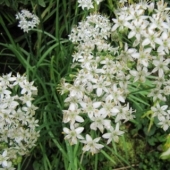 Aniseed, also known as Anise, is an annual grown for its licorice flavoured seeds. They can be used whole or ground, by themselves or in combination with other herbs, as a flavouring for teas, seasonings and baked goods. Leaves also edible, add raw to salads or in cooked dishes at the last minute. 17-18 weeks to harvest. 250 seeds per packet. 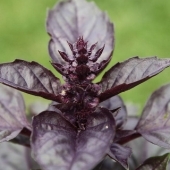 Dark Opal is a cultivar of sweet basil with attractive dark purple, crinkled leaves. Delicious and rich in anthocyanins. 11-12 weeks to harvest. Each packet contains 200 seeds. 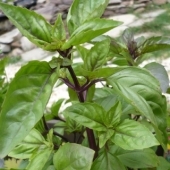 Genovese is a traditional Italian large-leafed Basil with a rich aromatic flavour. Excellent when added to salads, pasta sauces or made into pesto. Each packet contains approximately 200 seeds. 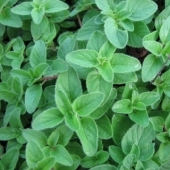 Lemon basil is a small, bushy, annual variety with delicious, lemon-scented foliage. The leaves make a scrumptious lemon basil tea or can be used to give a new lemony twist to any cooked dish that calls for regular basil. 12-13 weeks to harvest. 200 seeds per packet. 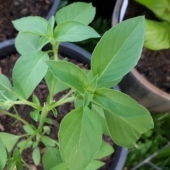 Lime Basil is a compact herb with a zesty lime citrus aroma and flavour. 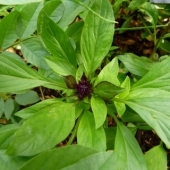 Lime Basil is more heat tolerant than other varieties of basil. 10-11 weeks to harvest. 200 seeds per packet. 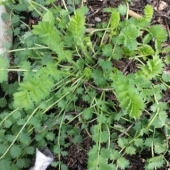 Burnet or Salad Burnet is a low-growing perennial herb that has a mild cucumber flavour with hints of mint and nuts. 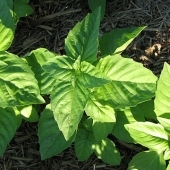 Young leaves great in salads or as a flavouring in soups. Leaves become bitter with age so pick often to encourage new shoots. 8-10 weeks to harvest. Each packet contains 30 seeds. 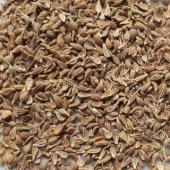 Caraway seeds are a warm, aromatic spice with a flavour similar to but distinct from anise. The seeds are commonly sprinkled on top of breads and other baked goods. Caraway roots are also edible when cooked, they're similar to parsnip but much thinner. Each packet contains approximately 370 seeds. Chive are a delicate, mild herb with a faint onion-like flavour. Great in egg, potato and fish dishes. Leaves and flowers edible. 11-13 weeks to harvest. 150 seeds per packet. 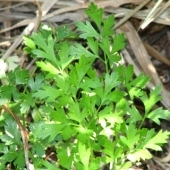 Slow Bolting is an open-pollinated variety of Coriander grown for it's aromatic leaves. Add it to Mexican stews or Asian stir fries at the end of cooking for a burst of fresh flavour. Smaller seeds than varieties grown as a spice. 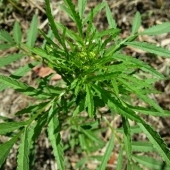 Bolt-resistant annual herb. 6-7 weeks to harvest. 70 seeds per packet. 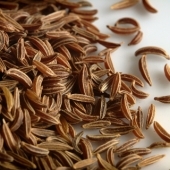 Cumin is grown for its aromatic seeds that are used prominently as a spice in Indian, Mexican and North African cuisines. Use seeds whole or ground. 14-17 weeks to harvest. Annual. 250 seeds per packet. Mammoth is a large heirloom dill variety. Excellent for adding flavour to many dishes including pickles, salads and dolmades. Harvest in 7-9 weeks. Each packet contains approximately 300 seeds. 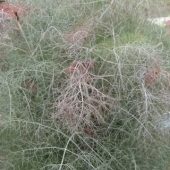 Bronze Fennel is a variety grown for it's attractive bronze-tinged foliage. Leaves can be chopped in salads or used as a garnish, they have a pleasant anise flavour that is milder than other varieties. Seeds can also be used as a spice. 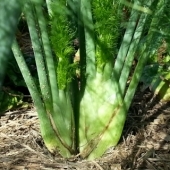 Does not form a bulb like Florence Fennel but still has fleshy leaf bases. 40 seeds per packet. 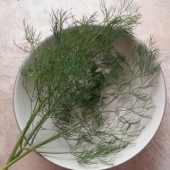 Florence fennel is a fennel variety grown for it's anise-flavoured bulbous stalk. 12-14 weeks to harvest. Each packet contains about 100 seeds. 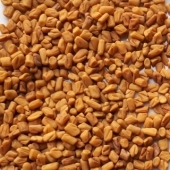 Fenugreek is an annual herb with a distinctive bittersweet flavour. Roasted and ground seeds are used as a spice in curries. Leaves are used as a flavoursome green vegetable in cooked dishes. Sprouts edible raw in salads. Fenugreek is a legume so it can also be grown as a nitrogen-fixing green manure crop. 450 seeds per packet. Garlic Chives have a mild garlic and onion flavour and can be added to salads, soups, stews, stir-fries and other Asian dishes. This variety has white flowers. 12-14 weeks to harvest. 150 seeds per packet. 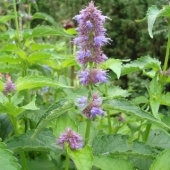 Huacatay, also known as Peruvian Black Mint, is a tall, annual herb native to the Andes. Leaves used as a seasoning, dried or freshly ground into a paste. Traditionally used in the potato dish ocopa. Makes a refreshing herbal tea. Flavour a mix of pineapple and mint with a marigold scent to which it's related. Easy to grow. 50 seeds. 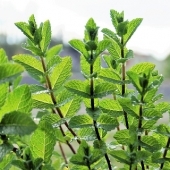 Korean Mint is a perennial herb with green leaves that have a strong minty, anise flavour. 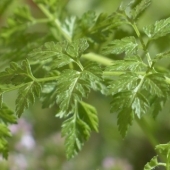 Can be used as a flavouring for salads and cooked dishes or infused with water as a herbal tea. Mauve flowers attract bees. 200 seeds per packet. 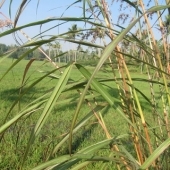 East Indian Lemongrass is a perennial variety that flowers and has viable seeds. The rich, lemon-scented leaves can be steeped in boiling water to make a stress-relieving herbal tea. Better flavour than the sterile West Indian lemongrass variety, however the leaf bases are not as thick so are less suited for cooking. 40 seeds per packet. 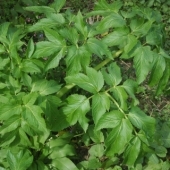 Lovage is a large perennial herb that grows to 2m tall. Flavour and aroma is similar to strong celery. Use leaves fresh in salads or chopped finely to flavour soups and stews. Stalks can be eaten like celery. 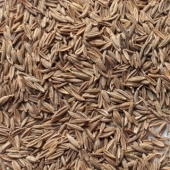 Seeds can also be used as a spice and taste similar to fennel. 15 to 17 weeks to harvest. 70 seeds per packet. 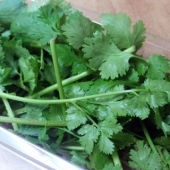 Mexican coriander is a biennial herb that is easier to grow in warm climates than annual coriander. 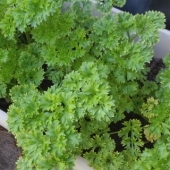 The leaves have a similar flavour to annual coriander and retain their flavour better when dried. 10-12 weeks to harvest. Each packet contains approximately 150 seeds. 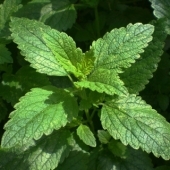 Peppermint is a perennial herb grown for its fresh minty leaves. 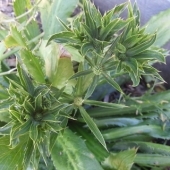 Grows best in damp spots but can become weedy so grow it in pots to contain it. Use fresh or dried as a flavouring for herbal teas and drinks, sprinkle fresh leaves over salads or use as a flavoursome garnish atop of cooked dishes. Approximately 1250 seeds per packet. 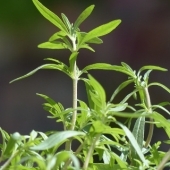 Sage is a perennial herb growing to half a metre tall. Flavour is aromatic and warm. 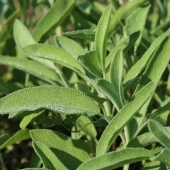 Finely chopped Sage can be used to season meats, salads, cheeses and pickles. Purple flowers attract native bees. 1-2 years to harvest. 30 seeds per packet. 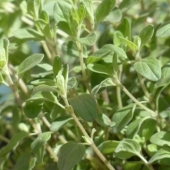 Wild Oregano is a spicy and pungent herb that is great in Italian dishes or as a seasoning for roasted or fried vegetables and fish. Flowers are pink. Approximately 900 seeds per packet. 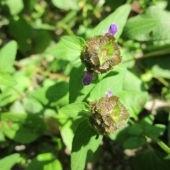 Wild Thyme is a perennial herb that is milder than regular thyme with a subtle, dry aroma. Can be used to season stews and soups and pairs well with eggs, beans and other vegetables. Forms a dense ground-cover. Pink flowers are bee-attracting. 38-42 week to harvest. Approximately 650 seeds per packet.